There are few men out there who know more about French rugby than Philippe Saint-André. As former captain and head coach of Les Bleus, the fifty year old has seen it all and his wealth of knowledge was just one factor that made this interview so enjoyable. Saint-André took the head coach role of the French national team in 2012 as he oversaw a World Cup cycle that concluded with a quarter final defeat at the Millennium Stadium to eventual champions New Zealand. His time at the helm offered him a fascinating insight into the pressures that come with international coaching, exactly what it takes to have a successful Six Nations, but also a view into just how much the success of the Top 14 was conflicting with the ambitions of the French national side. For years now, the French job has been a nigh on impossible one, but Philippe believes that is finally changing. Throughout our chat, Philippe was open, honest and humorous in his interesting dissection of France’s current state. With the Six Nations starting tomorrow afternoon with Ireland Vs France, the anticipation for that fixture was naturally a theme throughout the interview and while his expectations of his country may not be substantial this year, the Frenchman certainly anticipates an enjoyable championship for all. “I expect to see some great games of rugby,” Saint-André tells Munster Haka. “The Six Nations is always a fantastic competition. Of course there is always a fantastic atmosphere around the Six Nations but what is interesting is on the pitch. “For me the favourites would be England because they have big depth in their squad and even though they have a lot of injuries they will still have a very good team. They won twenty three games out of twenty four in the last two years which is very very impressive and I also think playing at home to Ireland is a big advantage. Guy Novès was appointed as French boss following Saint-Andrè’s departure in 2015, but like his predecessor, the legendary Toulouse coach found matching the demands put on his team with the resources available to him borderline impossible and was as a result sacked on the 27th of December following a disappointing November Series. Asked whether Novès’ replacement Jacques Brunel can bring French rugby back to where the public think it belongs, Saint-Andrè showed his first-hand experience and understanding of the deeper-lying issues facing his country’s side to pin-point the more important decisions facing the FFR. “I don’t think the choice will be a problem because I think the problem was the Top 14. We didn’t give gametime to our players for ten years so the depth in French rugby was going down and down and down. The Top 14 was fantastic but it was possible to be French champion with fifteen overseas players. “This year is the first time we have put into place that we have to play with thirteen or fourteen French players in each squad and we now start to realize as our young players start to get gametime, that some start to be good. You will see Jailbert, Palis, Camera and a lot of others like Antoine Dupont, but I think we need to be patient. “We are ninth in the world rankings, we lost to teams that we can beat and the last six months have been a wake-up call for our league, our federation and our management. I think for French rugby the problem is not always the management. It is instead often the quality of the players, but of course they are also playing forty games a year so they are exhausted as a result of us not giving our younger players a lot of gametime. It maybe took longer than it should have for the French Rugby Federation to realize that the old Top 14 model was destroying the national outfit. The domestic league strived with sold-out grounds and world-class imports, but was ultimately preventing homegrown talent from breaking through and thus dismantling the once formidable French on the world stage. With the new homegrown player quota that was implemented at the start of this season, Saint-Andre’s countrymen are finally cracking down on the number of overseas players plying their trade in the Top 14 and developing a broader talent pool for the French coaches to choose from. The former Gloucester winger could only dream of such a luxury during his stint in charge. “If you don’t field fourteen players who have grown up through the Top 14 or have played in the Top 14 for a long long time, you will have a lot of points dropped in the Top 14 for the next season and that rule is getting stronger and stronger each year. “I would say the Top 14 was fantastic economically and fantastic for the show and the stadiums were full, but it was terrible for the French team. The issues mentioned on the topic of poor player management and development are certainly prominent in the French game, but how important is style in France these days and would an added layer of structure and organization make all the difference for the newly appointed Jacques Brunel? “With international games if you just approach games with good structure; scrum, lineout, like Ireland kicking the ball, it’s hard to win an international game. You also need great discipline and to play a positive brand. We will never be as organized as the Irish team because we are a big country and the players never meet outside of the international windows. “I think what is fantastic about Ireland is that you’ve taken pieces of your system from New Zealand as provinces and your best players play more for Ireland than for their province. You see the treatment of Sexton and others compared to France where you may have to play a hundred and twenty games for your club before the next opportunity to play for your country! So it’s a little bit different. 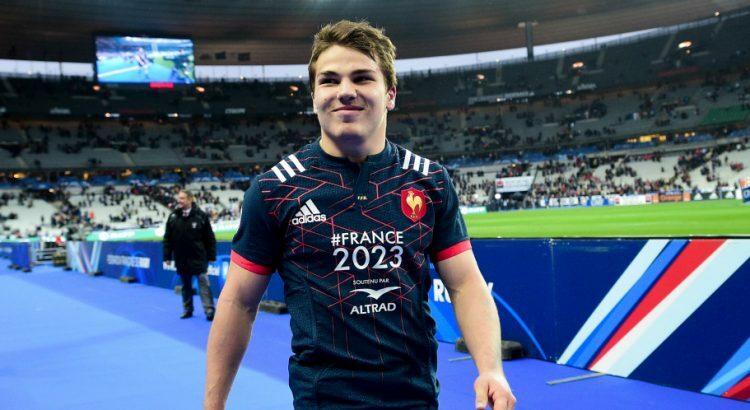 Though France are only on the first steps to recovery with this crop of youngsters like Jalibert now rising to the international stage, Saint-Andrè is reluctant to completely discount France’s chances in the opening round of the Six Nations. 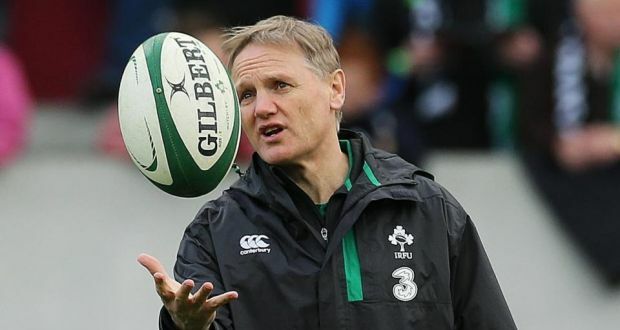 History suggests it will be no straight-forward task for Joe Schmidt’s Irish team on Saturday evening. “Though after all these things can happen. We beat you two years ago and one time when you didn’t respect the French team too much, you didn’t kick three points and kicked for the corner, we beat you too. In rugby everything can happen and it’s still a tough place to go. “I am French and as former captain and coach of the French team, I of course hope France will win. As I say we are not favourites, if you (Ireland) play to your best, if you are precise, accurate and your very well balanced backrow perform, and I look at the French backrow, then I don’t think we can match you. Maybe not history, but what Ireland do have over France is a whole host of quality players. Producing the sort of talent that can match the likes of Tadhg Furlong, Peter O’Mahony, Conor Murray and Johnny Sexton is key to success before any coach steps on the training ground. Saint-Andrè admits that at times in his tenure players of likewise quality were available to him, but the demanding nature of the French league meant their impressive performances were never going to be sustainable. “When I took over I had two fantastic players in Wesley Fofana and Yoann Maestri and their performances in the Six Nations of 2012 were fantastic, but three years after they had played a hundred and twenty games in three years. They were exhausted, tired, suffered with chronic injuries and you can see from the last two years they are injured all the time. “So it’s more about the system than anything. The system simply eats the players and you saw when Johnny Sexton went to Racing he realized this and returned home very very quickly. “I think the rugby improves so much when players are being managed properly and the number of tackles being made are being counted. That’s why I think your system is so good. The PRO14 is more so for the development of your young players than to smash your senior players and I think this is fantastic. Following the France job, Phiippe set up his own business PSA Academies that provides a professional coaching experience for young rugby players from around the globe and you can sign up with our Munster Haka offer here. “To be honest the reason why I started PSA Academies was because I coached the French team and said we need to improve the skills of our players. “I try to create an open mind with coaches like Johne Murphy and guys who aim to develop the skills of young players. We try to train like a professional team, we use cutting edge technology, we have top class training facilities and offer international level coaching. What was important for me was, I finished my career with Gloucester and coached Gloucester and Sale Sharks and it thought me a lot about rugby and about life and that’s what we aim to recreate with PSA Academies. Despite short stints in coaching roles with Cameroon and Canada, Saint-Andrè is these days settled and focused on working with French TV when not obsessing over growing his company. It has been a long, thought-provoking journey through the rugby world for Phillipe Saint-Andrè and although coaching has now taken a back-seat, he can still pass on his fountain of knowledge and experience to the next generation with this new challenge. We would like to say thanks very much to Philippe for being so open and generous with his time and we wish him all the best in the future. A Saint by name, a scholar by nature.